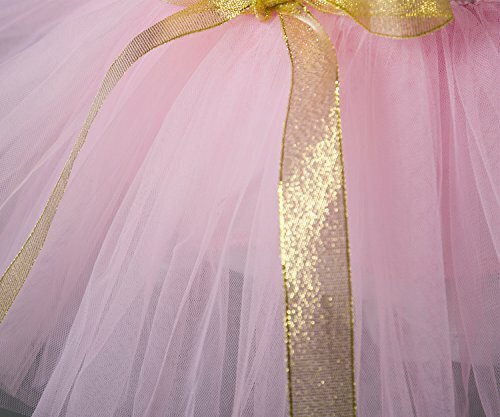 ♞Cotton Polyester Blending material, fashion designs for girls. 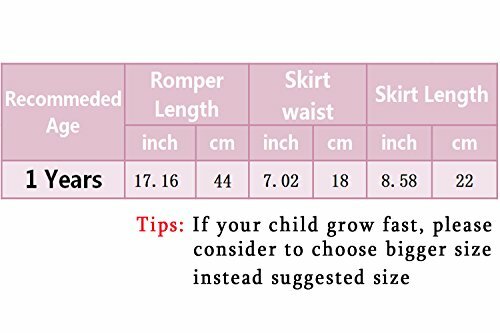 ♞Suit for 1Year - 2Years.Please refer to our size information on the left picture of Detail Size Chart before ordering. 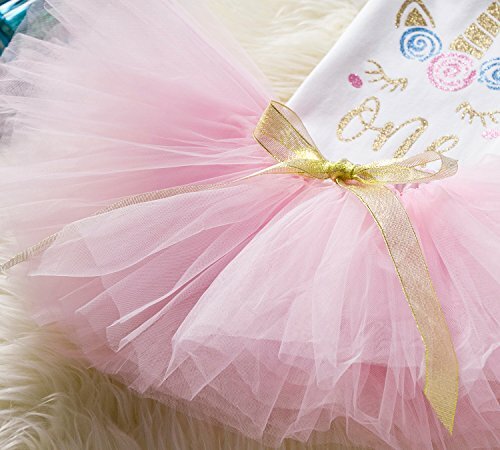 Size Table means age ranges for the baby, but they are for general guidance only. 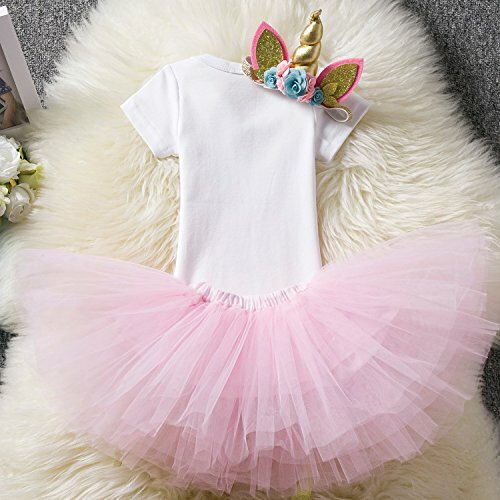 ♞Cute clothes sets .The package comes with 1pcs Unicorn /Bow headband,1pcs Romper,1pcs Tutu skirts . 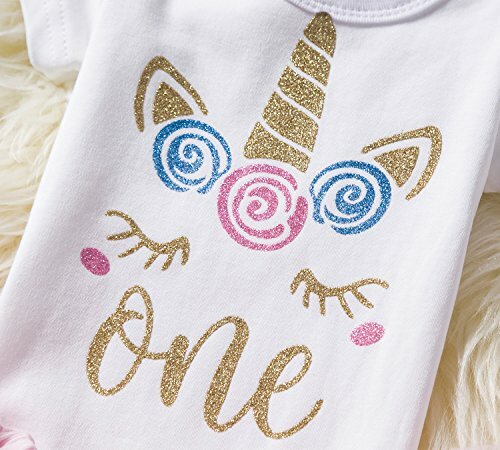 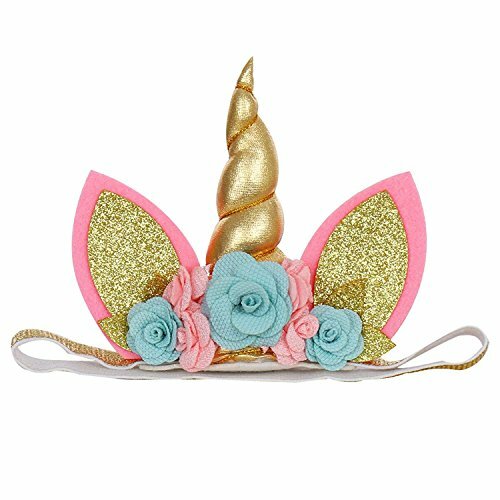 ♞3pcs outfits unicorn clothing sets; 3pcs outfits baby birthday clothing sets.The unicorn pattern and number"one"or "two" witn crown and wreath were printed on the T-shirt .Rainbow-colored and colorful multi-layered tutu skirts. 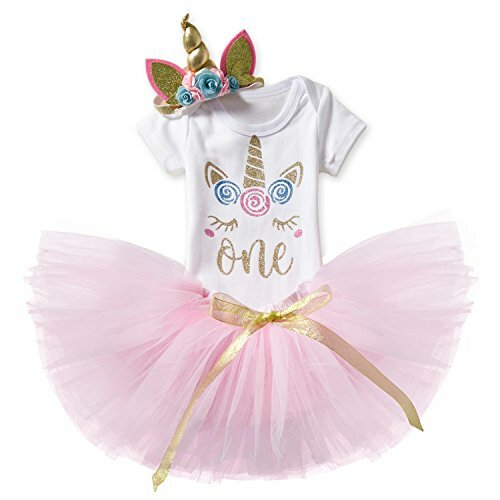 ♞This tutu set suits for dress up costume, unicorn birthday party,baby girls photography,daily wear,pageant, festival, recital evening and wedding party, baby's 1st birthday party, and other formal, family gathering or Halloween costumes.